It’s been 12 days since the last A2Z post went up, and I’m still in full-out PTA2Z (aka post-traumatic A2Z disorder). Even the sporadic like on FB feels like lifting a bag of cement. Twelve days and the house is still a mess. The dogs still need baths. We still haven't returned to our regular treks-and-hikes schedule. Twelve days, and my brain still feels fried. Twelve freakin' days and I still haven't finished replying to comments!!!! Seeing as this happens every single year, the question’s just begging to be asked: Was it worth it? One hundred percent. The A2Z Challenge is always worth it—the increased audience, the exciting new blogs we find to follow, the new friendships that bloom and enrich our blogging lives. But, for me, this year, on this blog, the Challenge was particularly special to me. This blog had fallen into abandon. Before the Theme Reveal post, I’d only published twice this year. Twice. And in 2015, I posted only six times. Even at my main blog I post pretty sporadically, but… six times? In one whole year? That hardly qualifies as blogging at all! It’s never been about having a huge audience here; dogs are a personal thing for me, and when I started this blog back in 2013, I was quite content to keep it low-profile. It's my Life In Dogs, after all, and probably of not much interest to anyone beyond other dog lovers, and then only some of those (I, for instance, don't follow a lot of pet bloggers). But, small audience or large, the intention of this blog was always to chronicle life with my dogs, to keep track of their development, and of the learning they bring to me. How each of them has shaped my life. In order to do that, I need to post at least semi-regularly. I need to create the habit. The Challenge helped me not just get back into the groove of dog-writing, but also sparked all sorts of ideas for future posts—and connected me with some truly lovely blogger dog & rescue lovers who have succumbed to my arts of persuasion and will be guest-posting about their own stories here soon. This Sunday, for instance, we'll have Susan Brody of TheArtofNotGettingPublished (I love that title!) with the story of Leo, the rescue dog she adopted during the Challenge—and which serves as perfect illustration of what it's like to bring a rescue dog home. And next week Ann Bennett, of awesome blogs Science Ladybug and So Much to Choose From, is coming by to share a story her dad told her a long time ago, a sort of fable about the rift between animals and humans—and how to breach it. 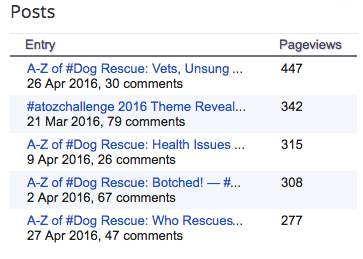 I never expected a theme as obscure as Dog Rescue to have the reach it did. Visits to the blog skyrocketed last month, way above visits in April 2014 (the last A2Z Challenge this blog participated in). Over 6,000 views last month! April 2014, the other, earlier, spike to the left, had only 2,579 views. The blog's top five all-time most popular posts—since the beginning of time. All from this April's Challenge. And not just visits. I mean, if you signed up for the Challenge, visits to your blog will skyrocket; your link is in the A2Z list, and at least a fifth of participating bloggers will click on it. But commenting… that’s another story. And I’m happy to report that those didn’t just reach all-time highs, but showed a huge increase in repeats. Over 70% of the people who commented once came back to comment again. And over 30% of them became regular visitors (3x a week or more) during April. I’m… honored beyond what any words can express. Thank you. Urged by several of you lovely readers who said (and said again, and again) that this series on dog rescue should be a book, I worked up the courage to mention it, totally nonchalant and as if in passing, to my publisher. I even qualified it with a, “… but it’s probably not your cup of tea, right?” Well, guess what? It is his cup of tea. Therefore, coming soon to your favorite online retailer: The A-to-Z of Dog Rescue, book version. Well, soon-ish. There's still a lot of work to be done before these posts are print-ready... Edits, expansion on topics, add-ons (thanks, Jeffrey, for the brilliant suggestion about adding rescue stories to illustrate... real-life examples will make a world of difference, I think... and maybe also help the book reach a larger audience). A huge Thank You from the whole Life In Dogs family. How about you? Was your April successful? Any powerful lessons you want to share? 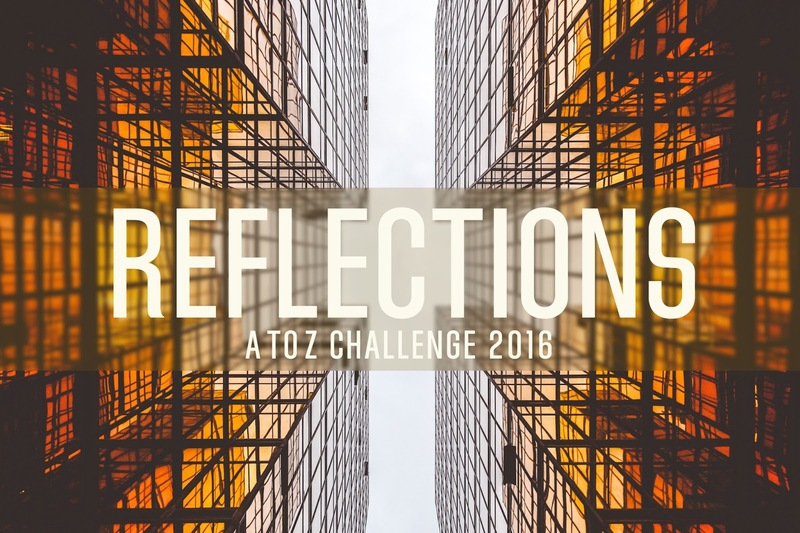 Join the Reflections hop—and, if you already have, I’ll see you at your blog soon! It was an awesome series. I loved reading each post. I'm glad you liked my suggestions and visits. As a non dog owner, it was still great reading and something I would recommend for anyone to read. Because you just never know when this sort of information will come in handy, and we can save the life of a dog. I'm soooo excited for you that you are turning this series into a book. I'm glad so many of us encouraged you to do so. It was an absolutely brilliant series and so valuable. I thank you from the bottom of my heart that you let me and Bella be a part of it. I'm thrilled that our story ranked up there in your top posts. That's beyond thrilling, actually! Can't wait to follow the course of your book! I'm sure it will do really well. Congrats!! I'll be buying it for sure and will be telling my friends about it as well. I'll look forward to following your Life in Dogs blog too. So glad that your A-Z was so successful! You rock Guilie! An interesting 'reflections' post, Guilie - I'm adding you to my 'blogs that I follow' list. Very best of luck with your book! I loved all of your posts and can't wait to read (and review on Library of Cats! )your book at some future point!! Great job! Another A to Z book. Congrats. That's wonderful. It's amazing how much more traffic a blog gets during A to Z. Of course, you did your part by responding to comments, and it shows. Fantastic Guilie! Lovely reflections post, testament to the success of your Dog Rescue series, always such a delight to read. Terrific re potential book! Have a great weekend! Guilie; you may just find that publishing your A-Z as a book will turn out to be among the most worthwhile things you do. It should find a place with everyone who is or may become a dog rescuer, or even anyone who is curious about just what is involved in transforming a sick, weak, neglected, hungry, semi-feral, frightened, defensive, snarling animal into an adored pet at the heart of a loving family. More power to you, and all those like you! The book will help many who work to help animals. I enjoyed your series. When life slows down this summer, which is not going to happen, I plan to reread your posts but more importantly 2015 A to Z. Thanks for letting me guest post on one of my favorite subjects, my dogs. I currently have seven which is a good number. I used to think how could someone own more than one dog or cat. Then I did. The more the merrier. To your credit, this was a very interesting series. Even people like myself (who love dogs!) don't really know much about dog rescue. Except it happens. Other than that... well, zippo. So, this series was extremely enlightening. I'm so happy for you that it will be turning into a book. That's awesome!!! Who knew you would garner such page views? Amazing. We all know there are tons of dog lovers out there (I'm one of them). 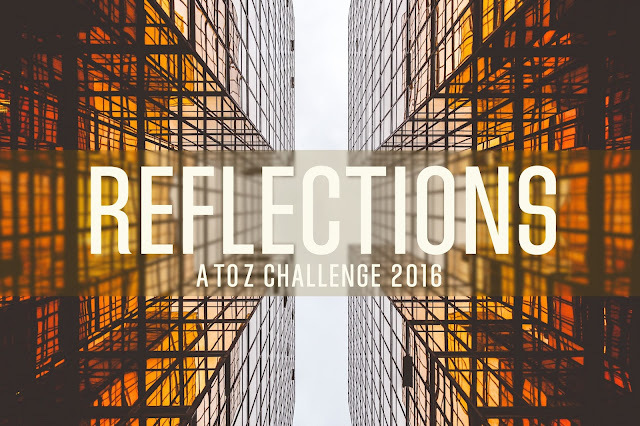 I escaped AtoZ fatigue this year by visiting blogs prior to the challenge. It really was the key for me. I find some amazing blogs to follow each year from this challenge. What better to write a book than to have your audience asking for more! Thanks for letting me act as an official "minion" by notifying you of deadlinks on the AtoZ signup list. Congratulations on an amazing series and also getting a book out of it! You're so right, despite all the effort and agony, The A to Z Challenge is definitely worth it. YOur stats are testament to that. Thanks for being such a good blogging friend. Salud! Congrats on the great series, thanks for sharing and warm greetings! Congrats on completing the challenge! Your theme was very informative and I'm so glad you are compiling this information into a book. Congrats on the series turning into a book :-) I'm sure it will inspire many. Awesome to hear that this is getting converted into a book too. It definitely was a lot of effort and I sincerely hope you continue keeping this blog updated.